Control System (VSCS). Recently many successful practical applications of sliding mode control (SMC) have established the importance of sliding mode theory which has mainly been developed in the last three decades. This fact is also witnessed by many special issues of learned journals focusing on sliding mode control [13, 15]. The research in this field was initiated by Emel’yanov and his colleagues [38, 39], and the design paradigm now forms a mature and an established approach for robust control and estimation. 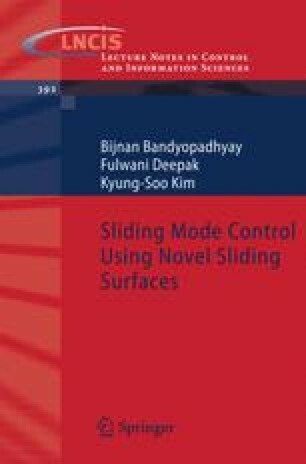 The idea of sliding mode control (SMC) was not known to the control community at large until an article published by Utkin  and a book by Itkis .